The Magellan MiVue 638 dashcam is a camera solution featuring a 2.7" LCD touchscreen display that captures the entire picture with 150° horizontal view angle. The camera records in stunningly clear 1040p HD resolution and features parking watch mode & camera mode. This device features MiVue Manager that organizes your videos for quicker browsing, simpler sharing to social media sites like YouTube™ and Facebook®, and overlays your recorded routes in Google maps to see your route synchronized to the video. The impact sensor saves footage when accident occurs, recording the direction/force of impact which may help in post-accident analysis. The Parking Mode feature records incidents while your vehicle is parked. It has GPS location and time stamp on playback video that shows your location and what time any recorded event occurred. Makes controlling your dashcam easy and intuitive. On playback video shows your location and what time any recorded event occurred. records direction and forces of accident impacts. Captures the entire width of the road ahead of you. Brighter and clearer video, even in low light conditions. Smooth, HD quality videos with latest H.264 technology for capturing details at smaller file size. 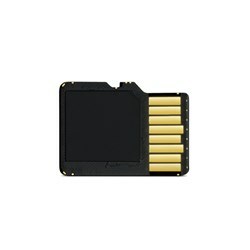 Records critical moments with the impact sensor, saving protected clips for later use. When you start your car, or choose to have it always recording. Switch to photo mode to collect close-up still image photo evidence. Manually save footage by pressing a button. Upload and browse recorded video on iOS or PC . MiVue manager organizes video by type/date for faster searching and driving, records direction and force of impact. Track and see your route overlaid on Google maps in the MiVue Manager. Share to YouTube & Facebook via linked accounts through Mivue Manager. Mount is easily rotated to the right angle for video capture. Connect MiVue to an external monitor or HD TV to view images/video. H.264 is an advanced compression format widely used in today’s HD video, including Blu-ray disc, HDTV broadcasting and AVCHD for camera recording. The Magellan MiVue 638-DashCam has many exciting features for users of all types. You can extend the lifetime of your Magellan MiVue 638-DashCam with the purchase of a FactoryOutletStore Factory Protection Plan. 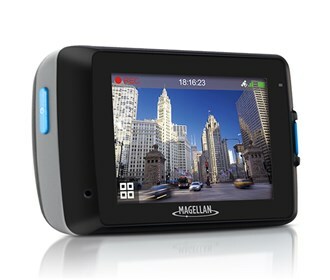 See the Magellan MiVue 638-DashCam gallery images above for more product views. 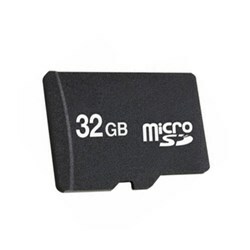 FactoryOutletStore stocks a full line of accessories like SD Memory Card for the Magellan MiVue 638-DashCam. The Magellan MiVue 638-DashCam is sold as a Brand New Unopened Item.